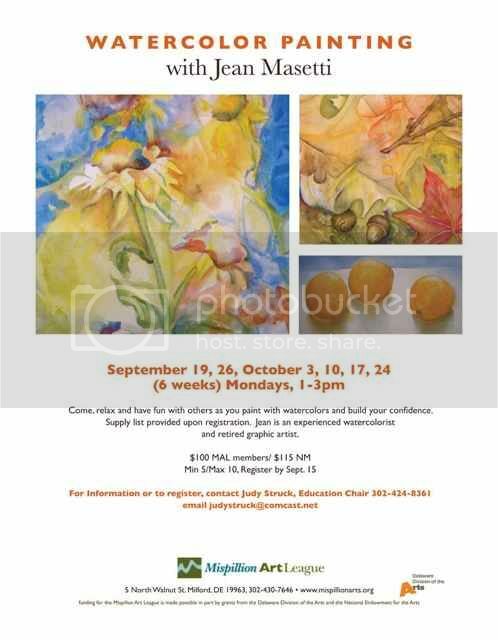 In a few weeks I have a new series of watercolor class scheduled and so far I have three students signed up - all new. It is always hard to plan these classes till I find out whether they are brand new to watercolor or have some previous experience. The class is for all levels and it’s always fun to come together, experience the relaxation of watercolor painting, and enjoy our creative self. Ooh, love the flyer! Also that pic on the left of the sunflowers is gorgeous! Rosemary, you bought some of her cards, made it. She does the marketing. And I have that picture hanging in my studio. It was a demo painting I started in class and then took it home to finish. I was so pleased with how it turned out, that I decided to keep it. Nice! Yes, definitely keep that one!